This week in gold, we heard news that retirement savings are on the rebound, learned the difference between coin collecting and coin investing, gave you a two minute guide to the Professional Coin Grading Service (PCGS), and answered your questions about the Foreign Account Tax Compliance Act. Research by the Principal Financial Group revealed that retirement account savings are rebounding. Retirement savings have nearly doubled, rising 93%, since the start of the economic recession five years ago. There has also been more participation in retirement plans. Additionally, more employees have been proactive by increasing their contributions to their employer-sponsored retirement plan. Read the full “Retirement Savings on the Rebound” article. To collect or to invest? Coins were originally collected for their designs, metal type, denominations, date of issue, mintmarks, and eventually condition and rarity. Bullion coins are invested in for their metal content, which must meet certain national standards. 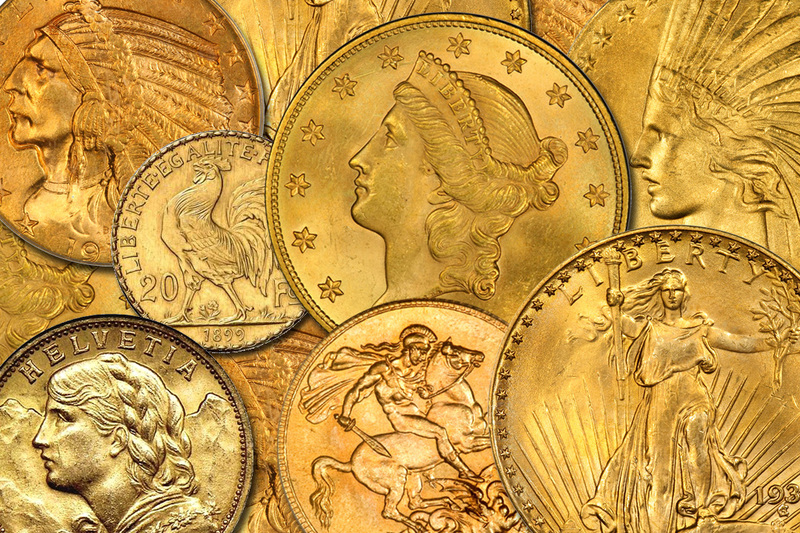 When deciding between collecting and investing, decide which characteristics you value more in coins. Read more about coin collecting vs. investing in coins. The Professional Coin Grading Service, or PCGS, is a professional numismatic organization that American Bullion is certified under. They offer a third-party appraisal system for coins to determine their values based on a universal grading standard. All coins graded by the PCGS are sonically sealed in a “NumisCap” and given a unique bar code. When looking to purchase gold and silver coins, choose a reputable dealer certified by organizations such as PCGS to ensure the coins you are purchasing are of the utmost quality and authenticity. Read the full two minute guide to the Professional Coin Grading Service (PCGS). FATCA stands for Foreign Account Tax Compliance Act, a federal law signed by President Obama in 2010 requiring Americans holding foreign financial accounts to report that information to the IRS. The IRS believes too many Americans are avoiding paying taxes by failing to report such information. If foreign financial institutions don’t comply, the IRS will impose a 30% withholding tax on all transactions concerning U.S. securities. Such a sharp drop in U.S. investment dollars could shock the market, devalue the U.S. dollar, and potentially cause a crash. If this occurs, gold’s price may rise as investors turn to it as a safe haven. July 1, 2014 is when reporting requirements will be implemented and penalties imposed. See more of your FATCA questions answered. If you are saving more for your retirement, are looking to collect or invest in precious metals, want your metals to be of guaranteed quality and condition, or have questions and concerns about FATCA, consider reading our information and then taking action by contacting American Bullion. A trusted leader in adding gold and other precious metals to individual retirement accounts, American Bullion can help you secure your retirement funds during a time when paper assets such as stocks and bonds are subject to inflation, market crashes, and geopolitical conflicts. Call us today at 1-800-326-9598 or request your Free Gold Guide online.